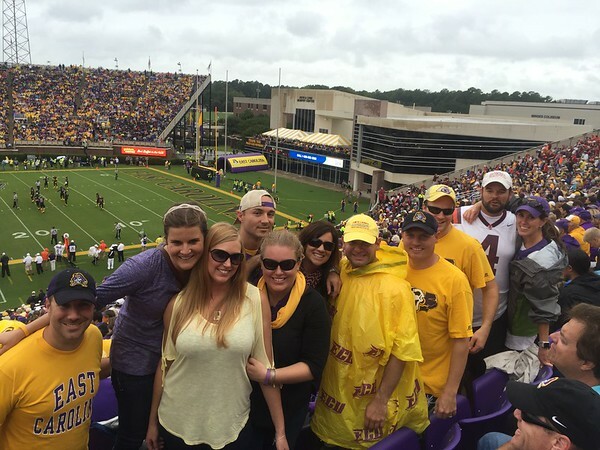 UCONN was in town for a Halloween inspired afternoon ECU Football game. 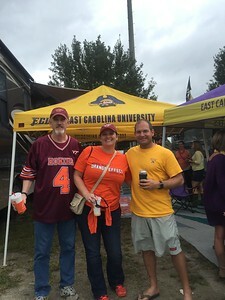 We had a couple clever costumes among us. 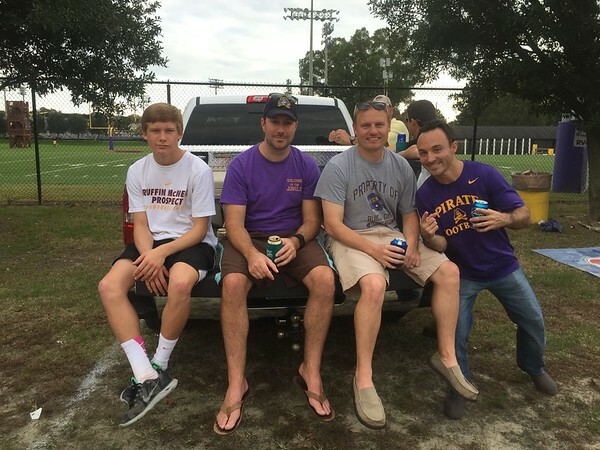 For this game against UCF the old photo album finally got an upgrade. 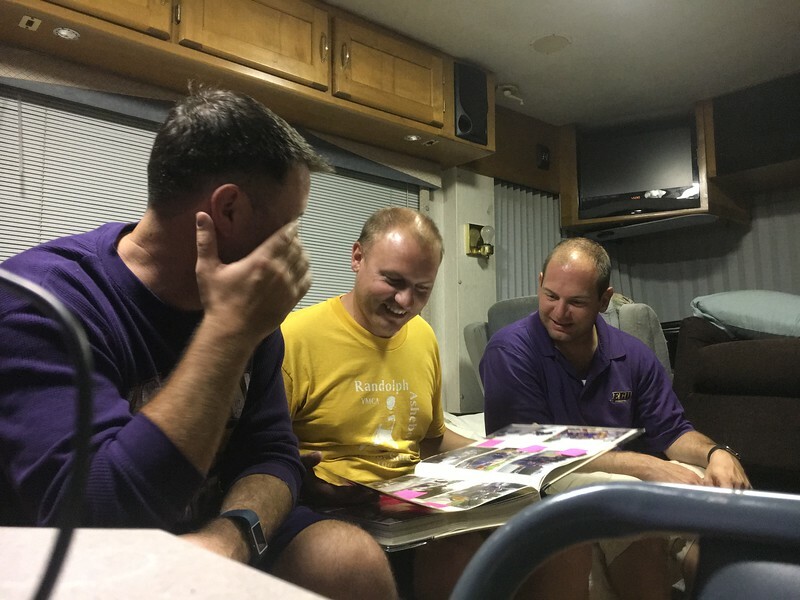 We had a lot of fun going back through all of the old photos. 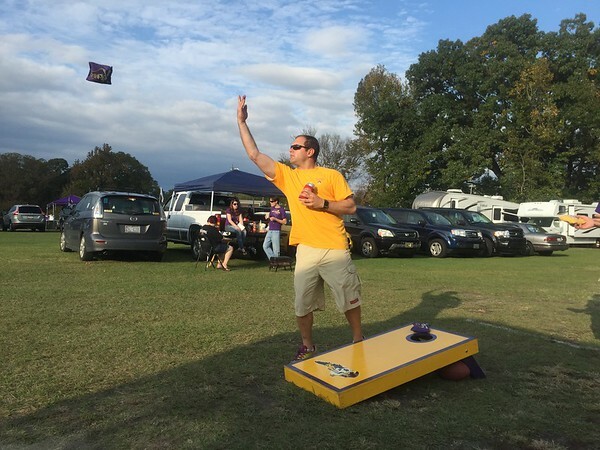 Again good weather for tailgating and a fun crowd. 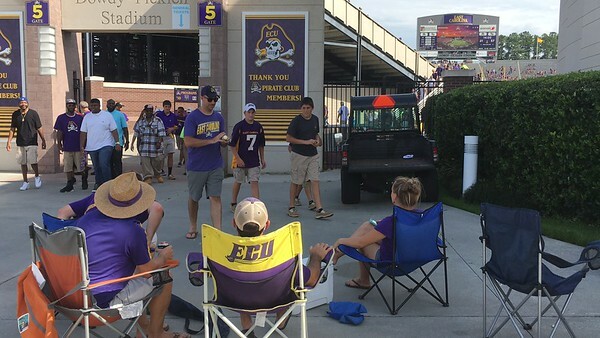 Unfortunately, the game didn’t go in ECU’s favor and our preferred seating was in front of the big screen with beers in our hands. 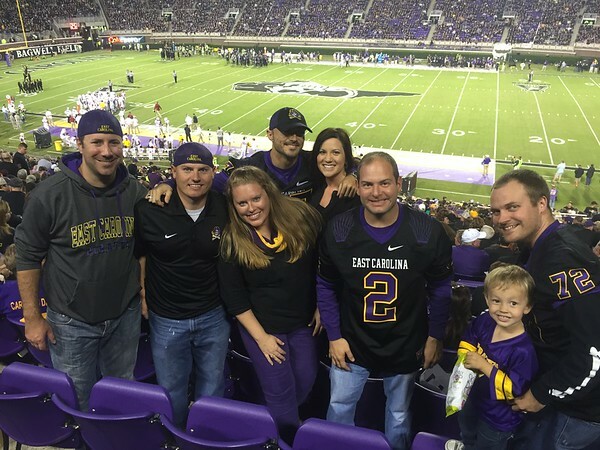 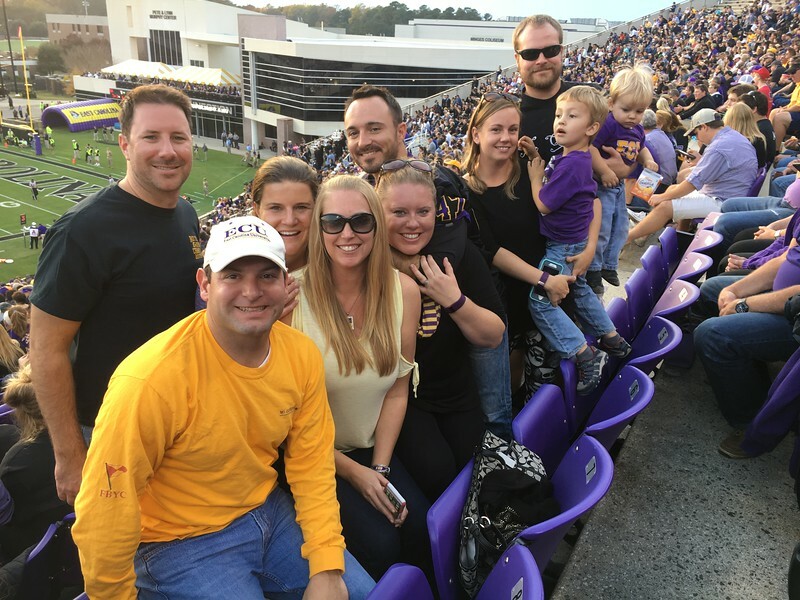 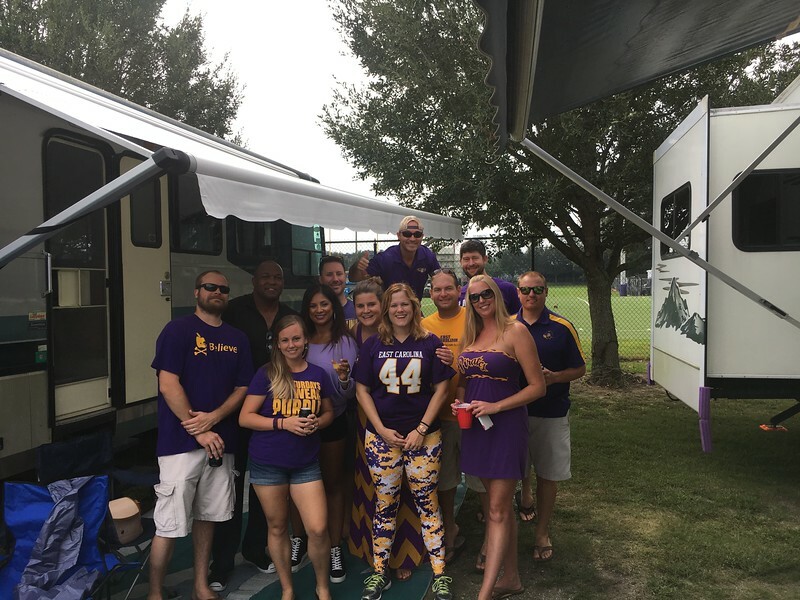 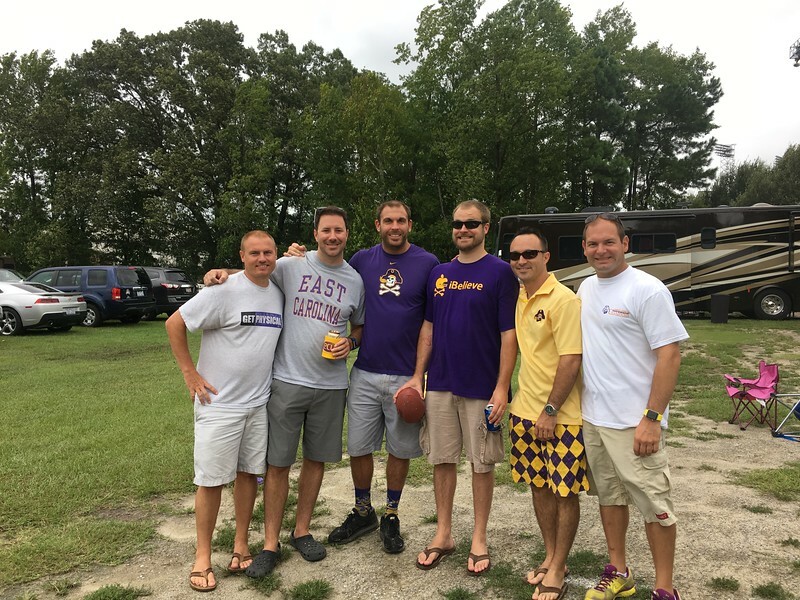 After last week’s game were were back a week later to tailgate for the ECU Football game against across-state rival NC State. 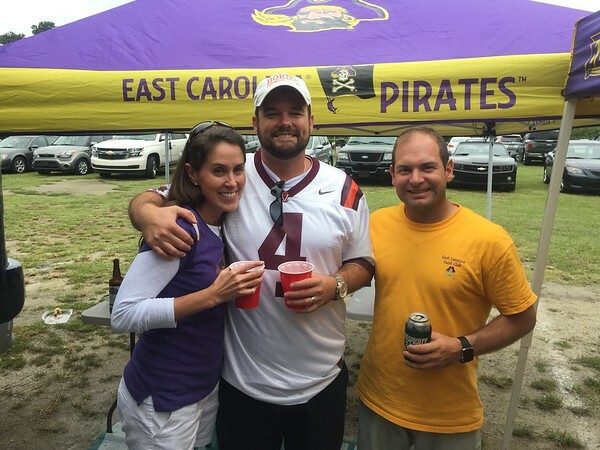 This was the first game I got to bring Jess to and she was a good sport in ECU garb. 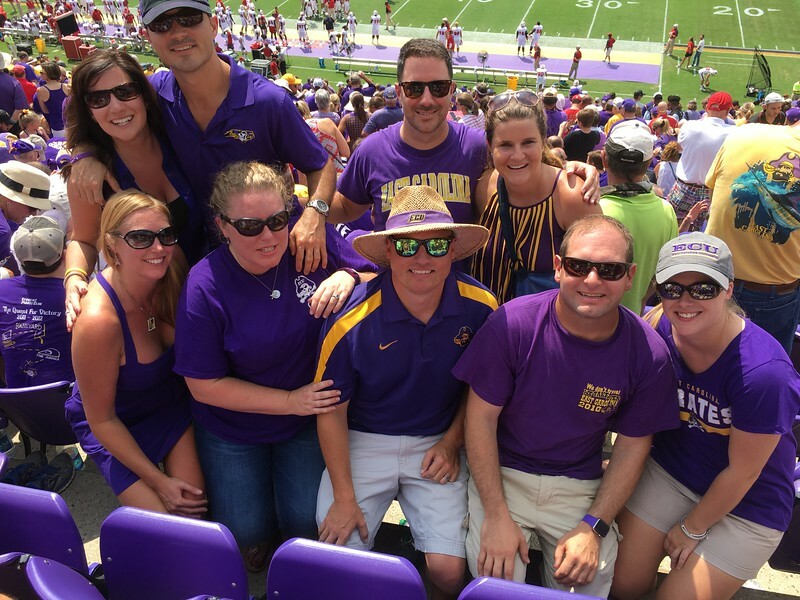 This also happened to be the game where our group was featured on the ticket. 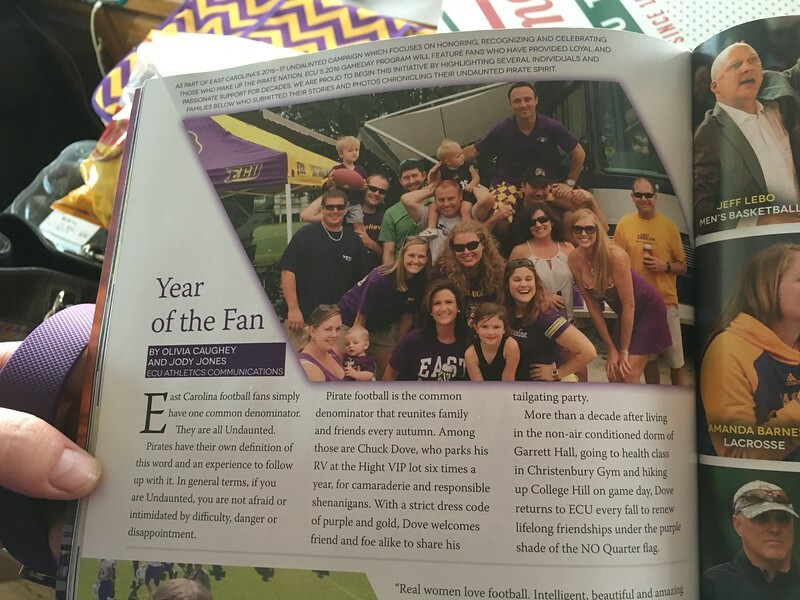 We had won a fan contest and so our group picture was on the ticket that went out to all of the season ticket holders, plus the story was in the program. 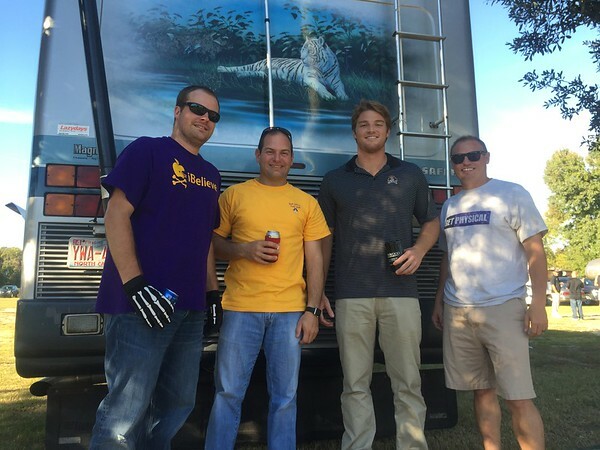 Unfortunately, the ownership of the white tiger was a little disputed in the article, but we were thrilled to be recognized. 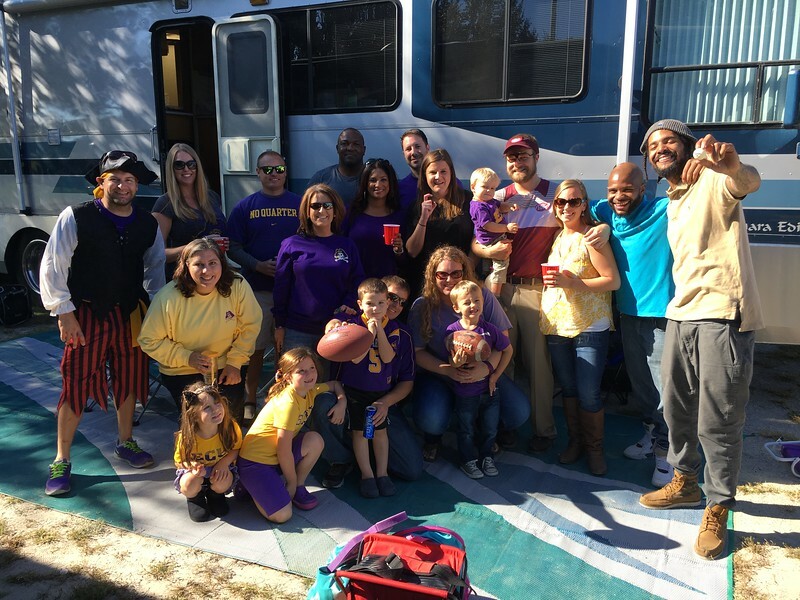 Despite the noon kick off and shortened tailgate time – we had a blast as always. 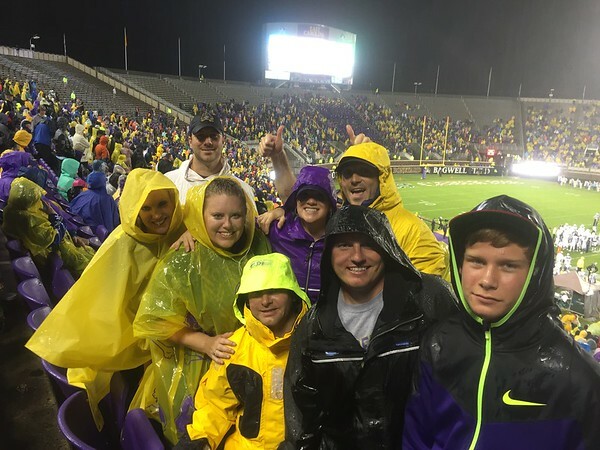 After being rescheduled due to a flooded Greenville earlier in the year we returned for the last and final game of the season. 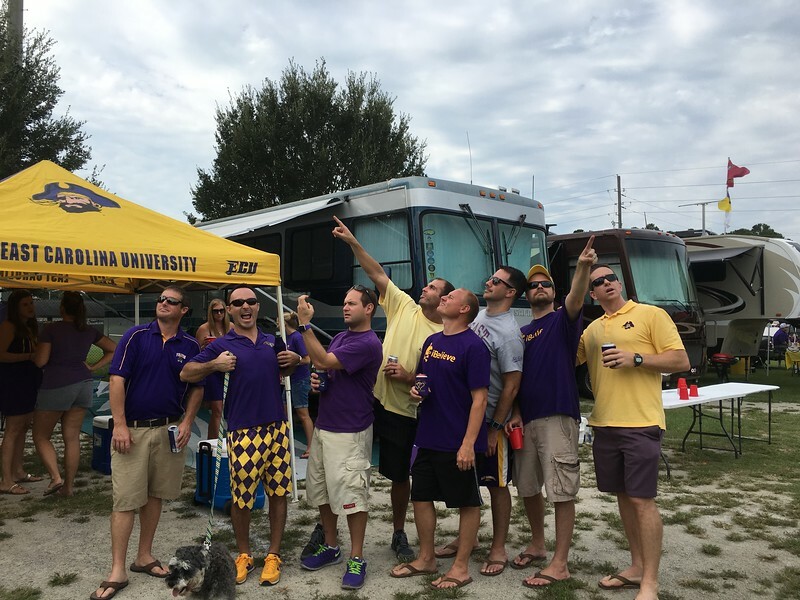 What started as a nice day turned into another wet one as we tailgated with the White Tiger in Greenville for the game against USF. 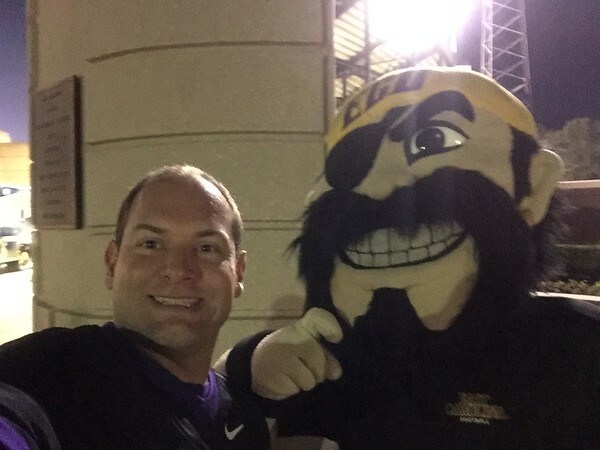 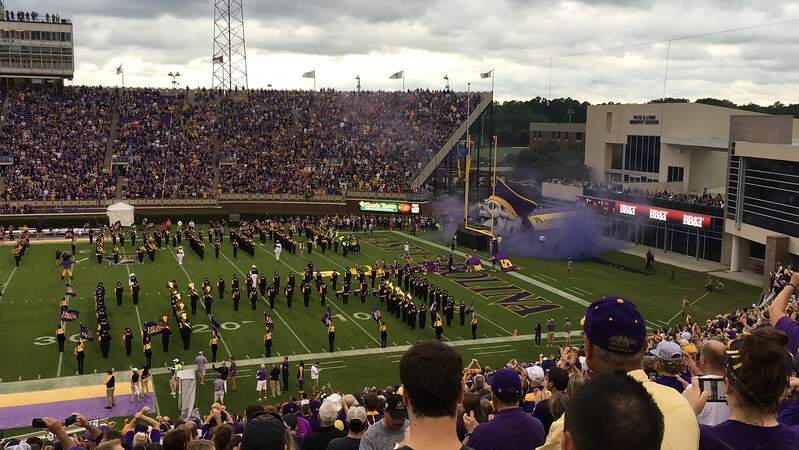 A Thursday night game for ECU football against a tough Temple team. 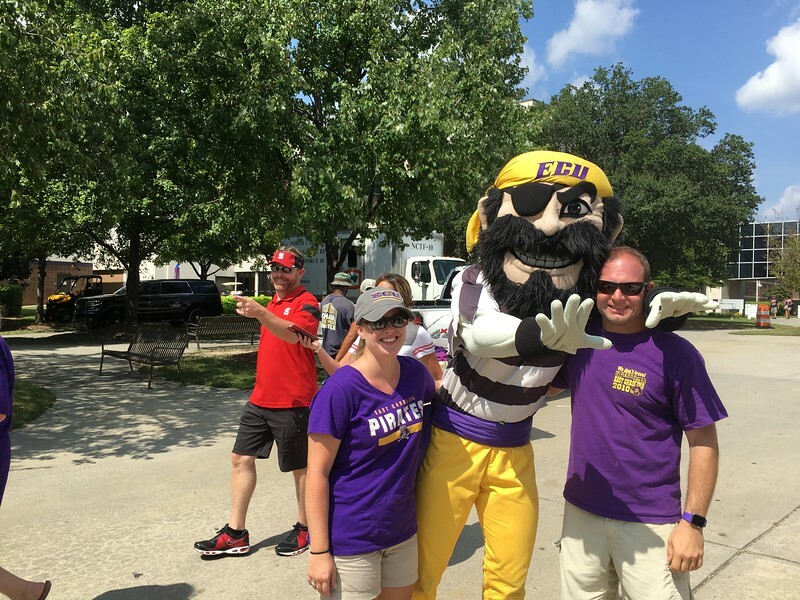 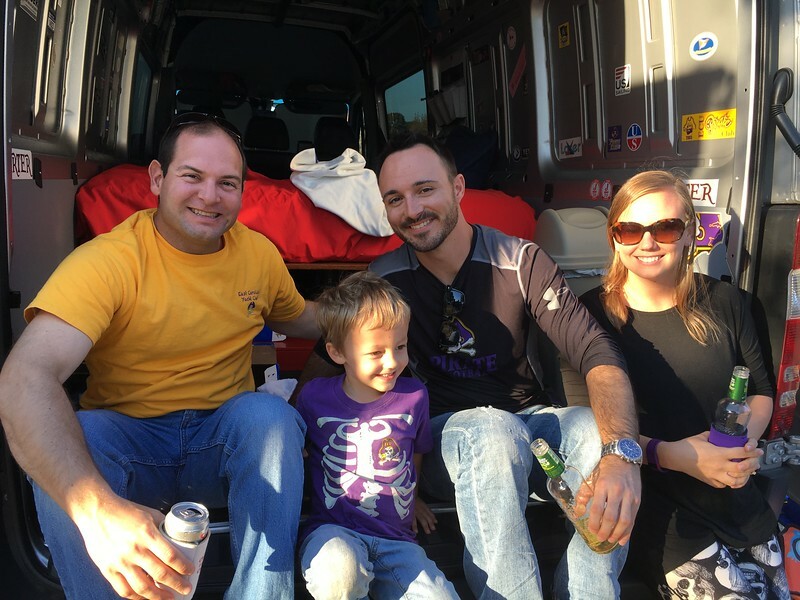 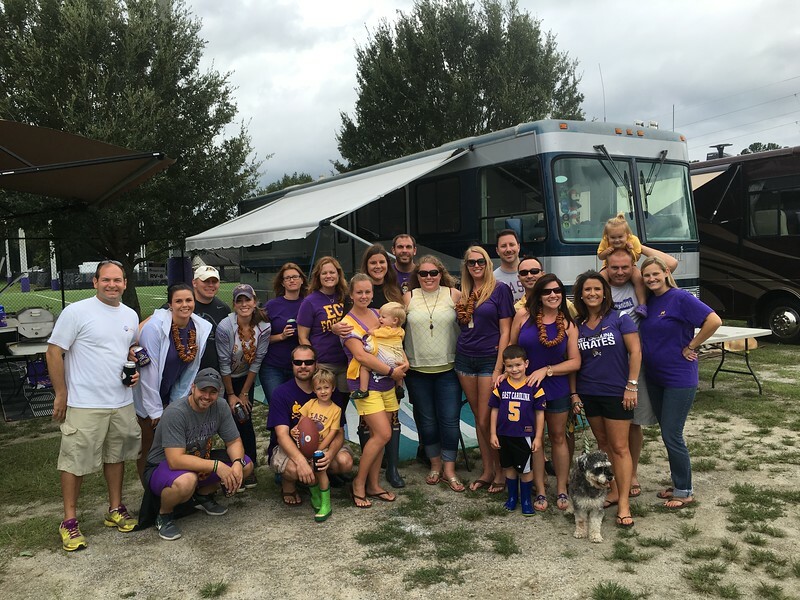 The game was rough for the Pirates but one things for sure – we won the tailgate! 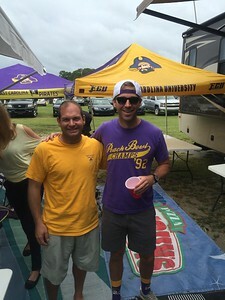 Former quarterback Shane Cardin even stopped by to have his picture taken in front of the White Tiger. 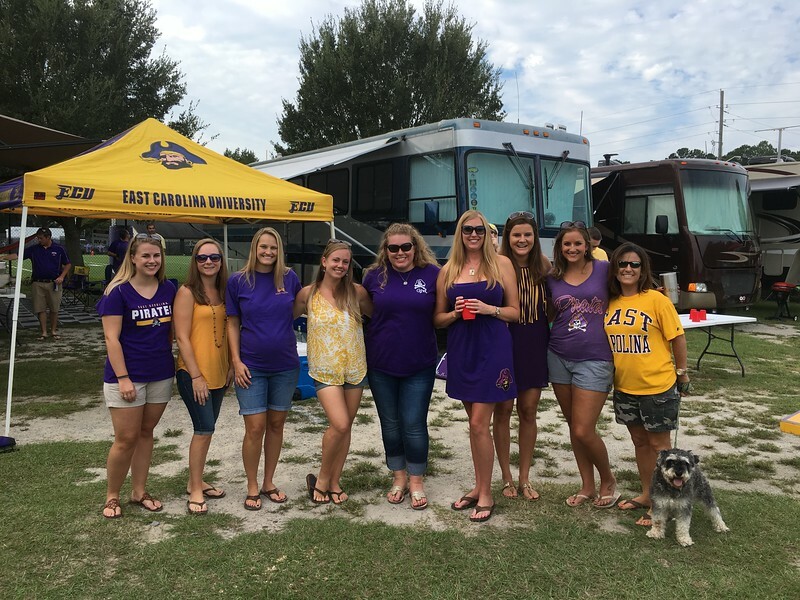 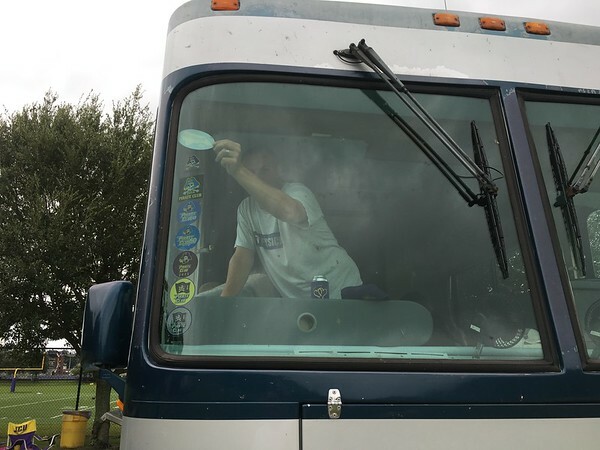 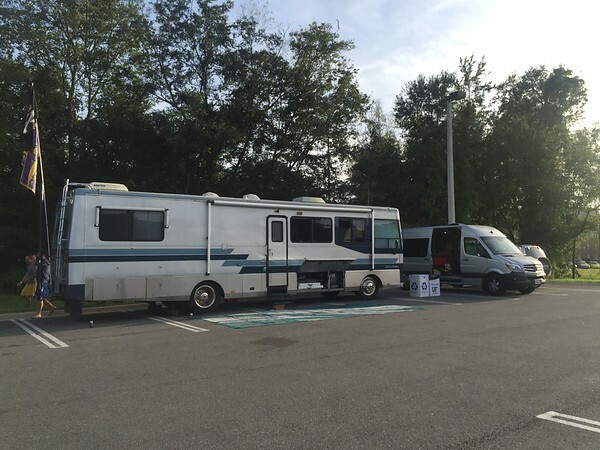 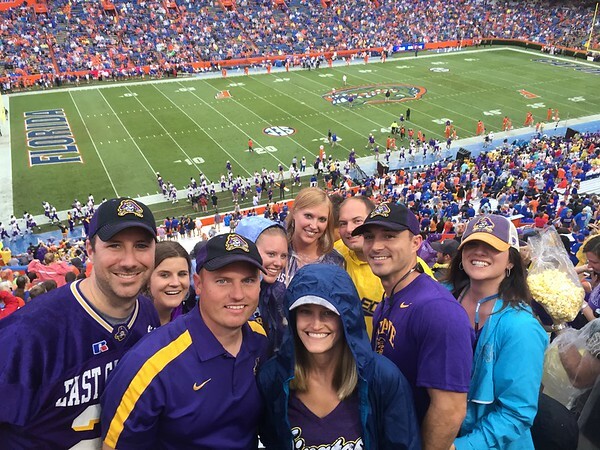 Following opening weekend last weekend – the White Tiger along with the No Quarter van took 9 of us to the University of Florida to see ECU take on the gators in the swamp.